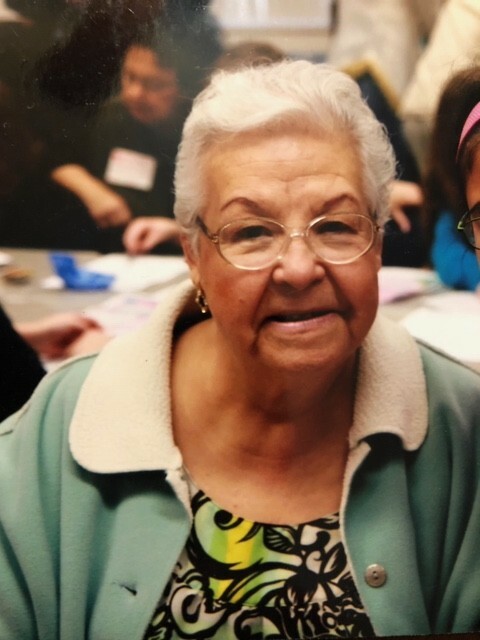 Genoveva Lopez, 79, of Hammond passed away Monday, November 26, 2018. She is survived by her five loving children, Juan "Manny" (Estela) Lopez, Alfredo (Elizabeth) Lopez, Yolanda (Octavio) Valdivia, Olivia (Javier) Gomez, Enrique Lopez; seven beloved grandchildren, Javi Gomez, Alexandra (Carlos) Alberto, Manual S. Lopez, Alfredo Lopez, Tatiana N. Lopez, Anaisabel Lopez, Briana Lopez; two great-grandchildren, Violet and Jacqueline, one brother Guadalupe (Alicia) Torres, and many additional loving family members. Genoveva was preceded in death in 2008 by her husband, Juan Lopez. Visitation will be Friday November 30, 2018 from 3:00pm to 7:00pm, with a Prayer Service at 3:30pm, at Hillside Funeral Home and Cremation Center, 8941 Kleinman Road, Highland, IN 46322. A Funeral Mass will be celebrated Saturday December 1, 2018 at 10:30am at Our Lady of Grace Church-3025 Highway, Highland, IN 46322, Fr. Edward Moszur officiating. A visitation will be held at 9:30am until the time of service. Genoveva was a past member of All Saints Catholic Church in Hammond.